Investing in North American Airlines – Why did Berkshire Hathaway buy airlines anyway? Disclosure – We here own various airlines (including the big four discussed) with different strategies. Airlines – That glamorous industry that has been a notorious money loser. An industry burdened with high fixed costs, high capital costs, and a marginal customer cost next to zero. Airlines have been making lives of North Americans better since 1914, but from an investment standpoint they have been terrible. The graveyard of defunct airlines includes memorable names like Bonanza Air Lines, Slick Airways, and the unforgettable USAfrica Airways (providing non-stop service from Washington D.C. to Johannesburg for a grand total of 9 months). Why have airlines been bad business? Before we get started, we want to be clear about the scope of this article. This article (and Berkshire’s investment) is focused on U.S. airlines only. The world is still full of a lot of crazy airlines like state-sponsored flag waiving airlines meant to promote their nation. But in the U.S. foreign airlines are not allowed to fly between two U.S. cities leading to interesting dynamics once you start digging. Anyway, why have airlines been so bad anyway? The primary costs of airlines are all fixed and the cost of filling another seat is near zero. And there has historically been poor discipline in the unfriendly skies. To understand costs, let’s take a look at Southwest Airlines – The following table shows Southwest Airlines’ cost per available seat mile (this is the average cost to fly an aircraft seat (empty or full) one mile, which is a measure of cost efficiencies). It should be noted that the U.S. airline industry has a clear bifurcation date of when the times really changed. Prior to deregulation, airlines were subject to the federal 1938 Civil Aeronautics Act, which brought railroad regulations and mentality to the airline industry. There were originally 16 trunk airlines – i.e. airlines that were allowed to fly nationally and internationally. Others could fly within a state and in that case were regulated by the state, which actually led to a few pretty large airlines in places like California. But interstate flight routes and prices were regulated. Airlines were guaranteed a 12% return on investment and the assumption that airlines would fill 55% of seats (i.e. the load factor). This of course led to high costs and airlines to compete on service and not price, and prices getting stuck at unaffordable levels for the common folk. A fun and bizarre fact of regulation is that load factors were based on seats the plane was supposed to have but the seats didn’t actually need to be there, leading to fun ideas like piano bars in planes. By 1978, there were only 10 of the original 16 left and no new ones were allowed to come into existence. 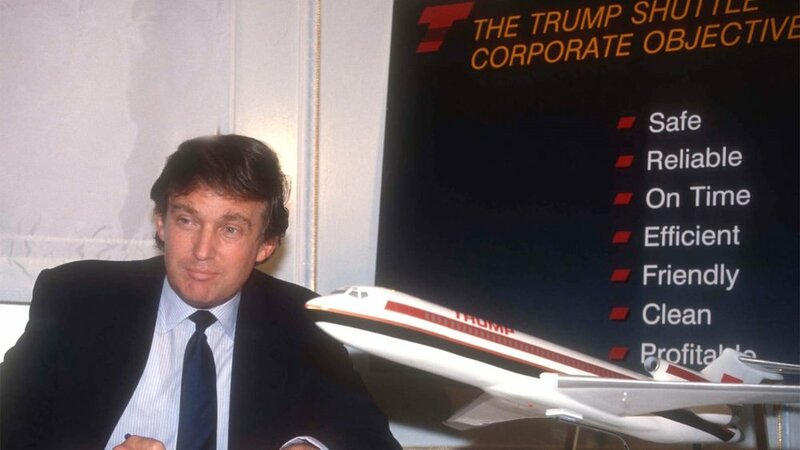 High costs, subsidized flight corridors, and fears that the airlines were going to start causing real taxpayer problems like the railroads did (such as the creation of Conrail by the federal government, which consolidated bankrupt Northeastern U.S. railroads). Post-deregulation - What has changed? People forget that flying used to be very expensive, reserved for business and the rich. There were just too many planes, too many airlines, and too little capital diligence to make the industry work. Beginning in the late 1990s, all of this began to take its toll on the industry. The combination of cost pressures and regulatory pressures, significantly amplified by the September 11th terrorist attack in 2001, led to many failures, mergers, with airline failures (bankruptcies/being acquired/etc) exceeding foundings in almost every year since 1996. The combination of deregulation, friendly merger reviews, and time is the key. The U.S. government did not want to create liabilities for itself like what happened with the railroads. In turn, the regulators’ have had a merger/failure friendly attitude that, combined with cut throat competition, led to this wave of bankruptcies and mergers. While there have been many mergers, the pace accelerated in the 2000s with several very large significant ones going through. Examples include Delta’s 2008 merger with Northwest Airlines (then the largest airline in the U.S.), United merging with Continental Airlines (also the largest airline at the time) in 2012, and American Airlines merging with US Airways in 2013. After the dust settled left the U.S. with four large airlines controlling over 80% of U.S. domestic air travel based on passengers and fleet size (see table below). Just because you have a few players does not mean there will be profits. A duopoly of two can have terrible prospects and returns if all they do is try to kill each other. Scale has numerous benefits in the airline industry. Better ability to negotiate with suppliers, lower cost of financing, increased value of loyalty and partnership programs vs a smaller operator, etc, etc. They are also able to and have been taking on major capital programs beyond planes to improve their service. For example, American Airlines (market cap of ~$20 billion) “announced a commitment for more than $1.6 billion for improvements of LAX Terminals 4 and 5, setting the stage for us to receive additional gate space and strengthen our Pacific gateway.” For context, the market cap of Alaska Airlines, airline #5, is ~$7.5 billion. All the airlines have taken time to already upgrade or start major upgrades to their ordering systems. The overall number of flights taken per year in the U.S. continues to grow. Yet at the same time the major airlines have grown their fleets at a reasonable pace and at the same time have been able to maintain high load factors for roughly a decade as a low load factor is just disastrous for airline sustainability. This contrasts with the “if you build it, they will fly” attitude of the 1980s and 90s and is definitely different than the pre-deregulation piano bar era. Instead of overbuilding capacity, airlines have redirected cash flow towards 1) dividends and share repurchases, 2) improving other parts of the business like order systems and terminals, and 3) upgrading their fleets. American Airlines has repurchased $10 billion of shares since 2014. Delta has returned $10 billion to shareholders and reduced its share count by 18% since 2013. United repurchased $1.8 billion of shares in 2017 and authorized the repurchase of up to another $3 billion in December 2017. And finally, Southwest purchased $1.6 billion in 2017. Although costs per available seat mile has been increasing over time, the airlines have demonstrated an ability to pass these costs on. Beginning in 2010 or so, the operating efficiency comparison shows that as a group they have been able to maintain margins. However, it’s likely that this is artificially/temporarily strong given the significant decline in oil prices over the 2015-2017 period. As prices increase it will be interesting to see if and how quickly airlines pass on their increased costs. It should be noted that the big four are impacted by rising costs in similar ways (e.g. industry-wide tight market for pilots, rising interest rates) but these airlines are better off than smaller airlines in handling rising costs. Capacity Purchase Agreements, Joint Business Agreements, and Marketing Relationships... The big four airlines all have similar approaches to collaborating to compete in ways that new/small operators cannot replicate. In fact, you get sucked in. The point of these is to help keep utilization high and add new destinations, connections, and frequencies without having to simply buy more planes, helping to minimize industry-wide over-capacity. Their international partnerships also help given foreign airlines cannot fly between American cities but their customers can book their full-rout through a codeshare agreement (letting you get from Beijing to Omaha with ease). Quite the web. Some have even gone a step further and are actually buying pieces of other airlines. For example, Delta has bought 49% of Aeromexico, 10% of Air France, and a piece of Virgin Atlantic. There are a lot of rules and regulations in the airline business. Funny enough, some of these rules are taking advantages away from the nimbleness of smaller airlines, with other industry dynamics (like cost of capital advantage) increasingly benefiting the large players. To contrast this, when Southwest was getting going in the 1970s they instituted ten minute turns where the goal was to get a plane in and out of a gate in ten minutes. The idea is that the same model of plane could be flown an extra flight more per day than their slow moving competitors, leading to an asset utilization advantage. It is simply getting harder than ever to do more with less than the big four and overcome the structural advantages they have. Berkshire Hathaway started buying shares in each of the big four in the second half of 2016 and had their full positions in Delta, United, and American by their December 31, 2016, 13F filing, and Southwest by Q1 2017. They bought roughly equal parts in each totaling approximately $10 billion. The idea should be from a fund manager with a long history of success – Warren Buffett + Tedd + Todd, the three capital allocators at Berkshire, meet this criteria. In this case, the idea is big enough that Warren Buffett was involved, separately confirmed by various interviews. The idea represents high conviction (demonstrated by being large vs other investments) – Check. Combined (being all bought at the same time as one idea) the airlines represent the 7th largest stock position of Berkshire. The idea can be bought for a similar price – Your call. At the current price level, the airlines are as a group about 25% above where Berkshire bought one and a half years ago. The idea is in your circle of competence – Your call. We also believe BRK is fully exposed in airlines as much as they can be as they don’t want to trip the 10% ownership regulatory hurdle. This seems to be confirmed by their Q1 2018 13F. They sold a bit of United and bought a bit of Delta as they would trip the 10% ownership hurdle in United shortly due to its share buyback plan. Interestingly, they’re limited on United and American (nearly 10% and maintaining it below) but short of the percentage threshold on Southwest/Delta (8.2% and 7.7%) as we believe it is because these positions have been and remain larger on a dollar amount basis. In turn, it seems to be that they want an even-ish dollar exposure to the big four without a strong preference. It also reminds us of the railroad scenario, where Berkshire owned holdings BNSF, Union Pacific, and Norfolk Southern stock where Buffett ultimately bought BNSF and sold holdings in the other two.